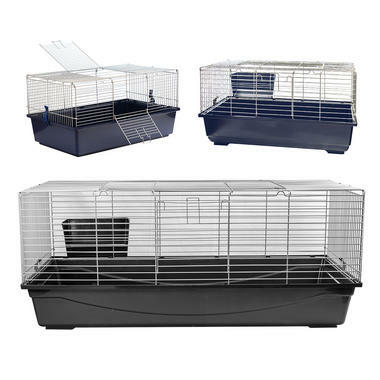 The Single Level Indoor Rabbit cage is a comfortable and secure shelter for your little friends. Available in 4 sizes and 2 colours, the cage is a compact and easy to assemble home to keep your small animals safe and secure. 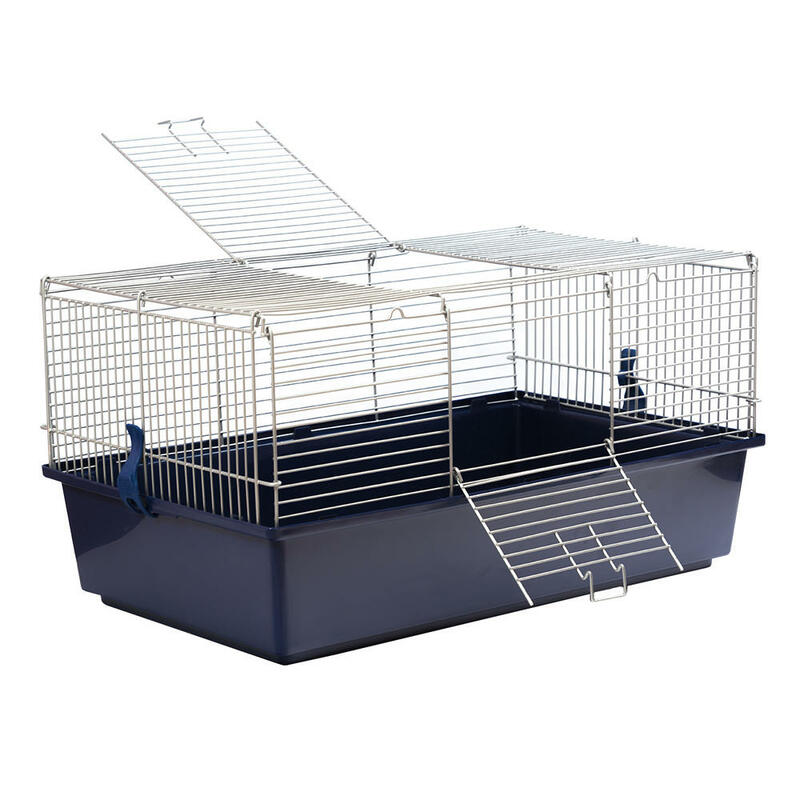 Ideal for childrens pets, small animals or to keep your furry friends safe and warm in the winter months. 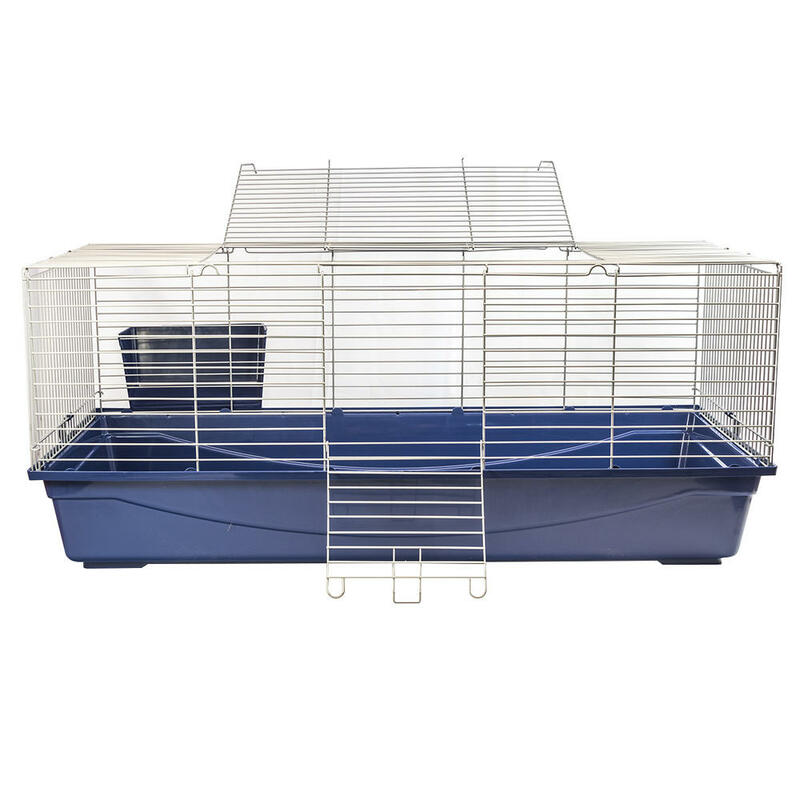 Each cage has an easy access front door as well as a top located larger door, making access to the pets and cage easy. 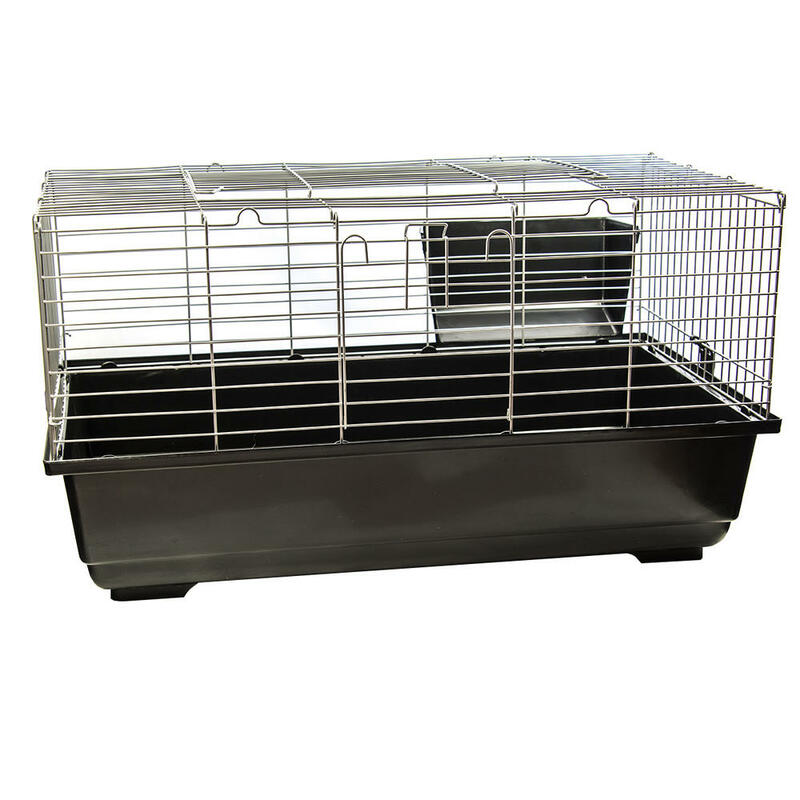 The base of the cage is a deep plastic tray and has enough space for your pet to roam and rest. 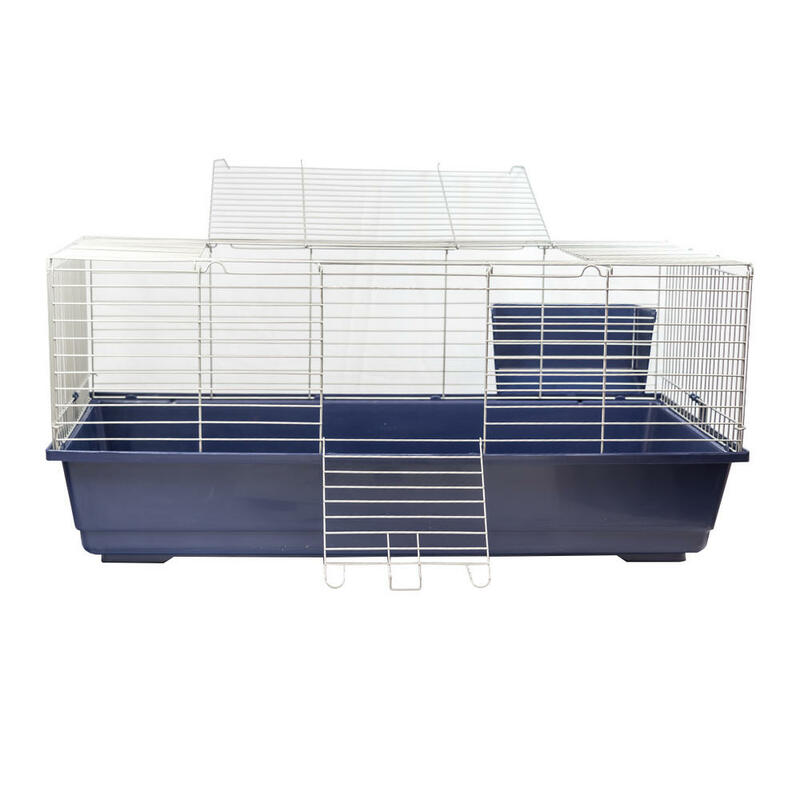 The larger cages (80cm, 100cm and 120cm) have a free hay rack that clips onto the side of the cage easily.